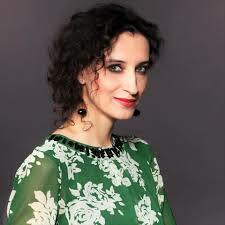 Jordana Palovičová has performed with the leading Slovak and Czech orchestras and with the Sinfonietta Orchestra of the Royal College of Music (London), Lambeth Orchestra (London), Lübecker Philharmoniker (Germany). Many Slovak and foreign performers have been her chamber partners. She is invited to important music festivals in Slovakia and abroad. She regularly presents the premieres of solo and chamber works by Slovak composers (Pavol Bagin, Miloš Betko, Igor Dibák, Hanuš Domanský, Juraj Hatrík, Jevgenij Iršai, Peter Martinček, Ilja Zeljenka etc). She has made recordings for Slovak Radio, Czech Radio, Czech Television, and Norddeutscher Rundfunk. A frequent visitor to Levoča both as a soloist and and ensemble musician, we welcome Jordana back for the 12th Indian Summer in Levoča Festival.